It was the story of the decade: A well-to-do Hilton Head Island couple vanished without a trace. Ten years later, there are still few clues in the mysterious disappearance of Elizabeth and John Calvert — and even less is known for certain about the involvement of their accountant, Dennis Gerwing, believed to be the last person to see the couple alive. 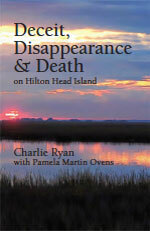 “Deceit, Disappearance and Death on Hilton Head Island” is an unvarnished look at the case, offering a quick review of the facts. Based on compiled reports from those who knew them best and police investigators, as well as coverage in local newspaper The Island Packet and national media, the book makes it easy to see why the case made headlines locally and around the country. The Calverts epitomized the good life, splitting their time between Atlanta, Savannah and 40-foot yacht, Yellow Jacket. John Calvert lived full-time on the boat, while attorney Liz traveled between Harbour Town and her Savannah law firm. 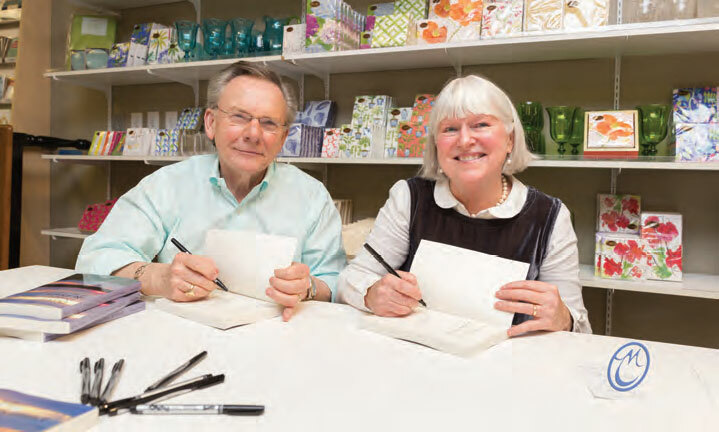 Hilton Head was their special place; the well-liked couple owned several island businesses, including the company that operated Harbour Town Yacht Basin. Gerwing, CFO for The Club Group, which managed the Calverts’ finances, was also well-respected in the community. When he was named a person of interest in the rapidly evolving case, many in the area were caught by surprise. But the investigation also uncovered unsavory details that didn’t fit his mild-mannered persona, including ties to escorts and gambling. His suicide — and the gruesome method he used — the week after the Calverts’ disappearance raised even more questions. The tightly composed version of this true-crime story is hard to put down. As events shifted and the investigation unfolded, new players were discovered. What came to light is this astounding account of the explosive story. “Deceit, Disappearance & Death on Hilton Head Island” is available online at Amazon and singlestar.us, as well as locally at Pretty Papers, By Hand Ink, Pyramids, Markel’s Card & Gift Shop, The Store, Poseidon, Boat House Grill, J. Banks Design, Grayco, and Gifted. Discover the secrets of 30-year Disney veteran Dreyer, from her first job in guest relations to working with top leadership at Walt Disney Motion Pictures — Disney principles applicable to life and career, and how to embark on life’s great journey." 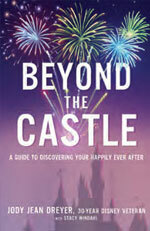 “Beyond the Castle” is available online at Amazon and zondervan.com. In 2000, Zeke Wilson, a former heavyweight boxer, promoter and Marine from St. Helena Island, found himself fighting a unique legal battle that would transform racial discrimination law, specifically same-race discrimination throughout the nation. "If we want future generations to enjoy true freedom and equality, we must fight to wipe out injustice at every level,” Wilson said. “We cannot teach our children to accept injustice or hate its perpetrators, but to take a positive, active stance in ensuring the future of the American people is characterized by equality of opportunity — regardless of color, race, ancestry, belief, or lifestyle preference." Wilson examines that fight in his book with honesty and clarity. His book is available online at Amazon and theeighthround.com. When it comes to a “magic pill,” laughter may just be it. Laughter is universal. It transcends age, culture and language, and when you laugh, you unleash physical, emotional and mental health benefits for yourself and people around you. Studies show a good laugh relieves stress and pain, boosts immune systems, reduces blood pressure, and stimulates the mind. Laughter may truly be the best medicine. 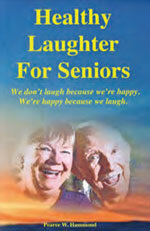 “Healthy Laughter for Seniors” is available at Amazon and Barnes & Noble.